Vijender Singh defeated his Australian opponent in a unanimous decision in the fight in New Delhi. Vijender Singh, the first Indian boxer to win an Olympic medal, is now 7-0 since becoming a professional in 2015. 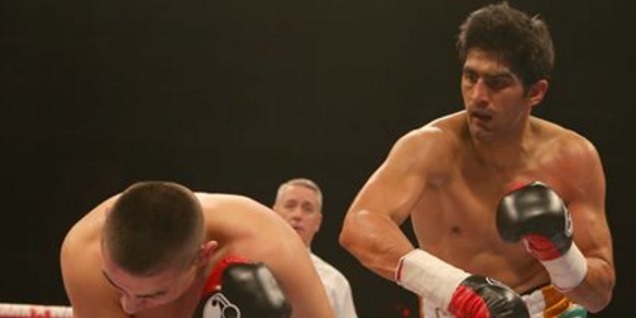 With the WBO Asia Pacific Super Middleweight Championship title, Vijender has become the first Indian to win a major title in the pro-boxing career. Surviving a gruelling contest that went on for more than 45 minutes, Vijender was moved and dedicated his maiden pro-boxing title to his country, making it 7-0 in as many bouts. The win gives Vijender an entry in the top-15 of the world in the middleweight category and open doors for a shot at world title. The first pro-boxing fight in India drew a lot of politicians, cricket and Bollywood celebrities to the stadium - Congress' Rahul Gandhi and Rajeev Shukla, Sports Minister Vijay Goel, cricketers Suresh Raina, Virender Sehwag and Yuvraj Singh, Olympic medallist MC Mary Kom and actor Randeep Hooda were all in attendance.